Interested in working at Small Business BC? To view current openings please visit our Careers Page. At Small Business BC, we provide the building blocks that help entrepreneurs grow successful businesses. We believe that no matter what stage of business or what skill level, there is a need to learn and grow. Our staff’s role is to provide the knowledge and resources to fill those gaps. When an entrepreneur finds themselves asking “How do I…?” we’re the ones to call. In British Columbia, small business makes up around 98 percent of all businesses in the province. We know that by helping entrepreneurs to start and grow their businesses, we are playing a vital role in continuing to make this province the best place in the world to live, work, and play. Small Business BC is committed to maintaining a supportive work environment where every member of staff can grow and achieve their potential. 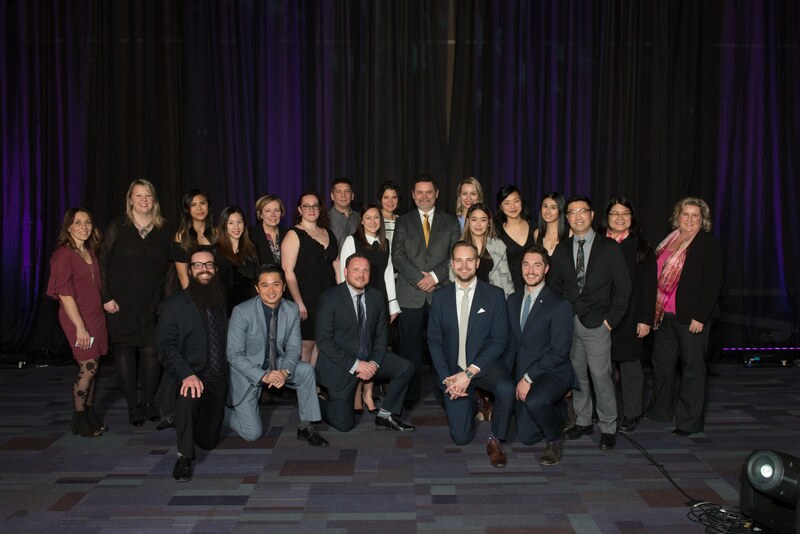 Our team is encouraged to harness their unique skills and expertise to help the business community throughout British Columbia. Want to know what else we stand for? There is something invigorating about being an entrepreneur, about taking a leap of faith, going out on your own and building the business you’ve always dreamed of. We are proud of our status as British Columbia’s premiere resource centre for knowledge-based business products and services, and we are passionate champions for British Columbia’s small business community. Small Business BC offers an exciting working environment that empowers its employees to follow their dreams. We support opportunities to work cross-functionally on project teams to learn and grow in your career. We know the value of a healthy work/life balance and support it with flex and vacation days and a comprehensive benefits package including RRSP matching. We also love to have fun! Events, games and team building activities keep us engaged and connected with our team. Our team at Small Business BC is our best resource, and we are strong advocates of their continued career success. Staff are placed in the best possible position to harness their individual talents, and are welcome to participate in inter-team activities. Have a great idea? Let’s hear it! Our team is small, and we like it that way because that makes it easier for every voice to be heard. If there’s a local conference, class, or seminar you’d like to attend, we encourage you to unleash your inner nerd. Our services are available to all British Columbians by phone, email, internet or webinar. We are equally accessible for our staff. Our location within Waterfront Station in Suite 54, 601 West Cordova Street, Vancouver means staff can get here easily via skytrain, seabus, bicycle or by foot. In the most recent quarter, Small Business BC served almost two hundred and fifty thousand customers via our website, in person, or over the phone. Our presence creates a tangible, positive resource within a province that ranks first in Canada in terms of small businesses per capita. We know you have a choice on where to build your career, and we want you to feel confident in your choice to join Small Business BC. Our Co-op program aims to harness the next generation of entrepreneurs through challenging, interesting, and rewarding work. You will have access to experts in the world of entrepreneurship, best-in-class training, and months of solid work experience that will make your resume shine. Interested in finding out more about becoming a Co-op at Small Business BC? Please visit our Co-op Page.